Hello! I hope you and your family had a great holiday! I know I enjoyed my first Florida Christmas! It was great to go to the beach on Christmas day! Anyway, back to things at hand. Last week we talked the basics about bins. Today, I would like to address how to perform a new "Bin Move". A bin move is a great feature and I find a lot of our clients use this frequently. If you need to transfer qty from bin to bin, you can use our newest feature called a Bin move. You can start a new bin move from the Warehouse menu – New Bin Move. This will prompted the bin transfer screen. Enter the location and the date of the transfer. There are 2 ways to move your bin quantities, you can move one item at a time or Move an entire bin. To move one item at a time select select that option. This selection will allow you to move a specific item and quantity. Select the bin from and the bin to and select one item, lot/serial #’s and enter the qty to transfer. One note to make, when you select your from bin, the total quantity in the bin (of all items) is listed. Once you have selected the item, the total quantity for that item in that bin is listed. You can use that to determine the qty that you will transfer. Click add and your entry will be listed below. Repeat the steps for multiple items. The second way is to Move an Entire bin, you can do this by selecting the Move entire bin option. This will move all items and quantities from on bin to another. Select the bin you will transfer from and the bin you will transfer to. The total inventory in that bin will be selected, Click add and it will list all of the items located in that bin. You can delete the line items that you do not want to transfer by clicking the red X on the line item. Lastly, you can click Create Transfers and a new Quantity Adjustment screen will open. Remember no quantity is adjusted, you are just moving one bin to another. In my years of being a Warehouse Supervisor, we had over 200 bins. The inventory warehouse software that we were using at the time did not have a feature like All Orders does. This feature would have made life a lot easier for me. Remember if you have any questions or concern's the NumberCruncher team is here for you. Please give our customer support line a call - (866) 278-6243. You can send us an email also - support@numbercruncher.com. Have a great New Year!! Here's to 2016! Best of luck! Hey guy's! Welcome to the NumberCruncher Blog, Thursday Edition! 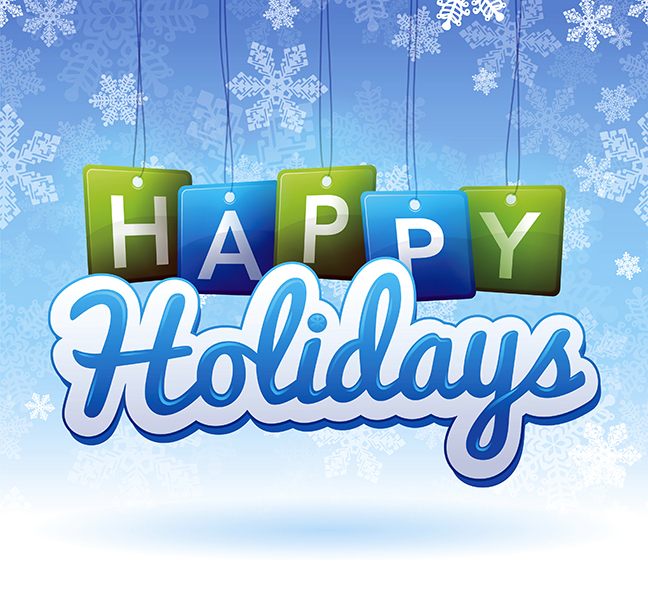 Firstly, Happy Holidays from NumberCruncher team! We hope you and your employees have a great holiday weekend and spend some quality time with your families! Now, in my past 2 blogs we focused on Locations. Now we are going to focus on features within the locations, Bins. Within the all orders program, we have a unique feature called Bins. This allows you to create a location within locations, allowing you to easily pinpoint the location of the item. If you have a huge warehouse with multiple aisles of product, this would be a key feature for you. A bin does not have to be a physical bin. A bin can be any place of storage, from an actual bin to a shelf or a crate. For each item that is a Part or an Assembly you can specify a default bin. When you add items to inventory (Receiving Purchase orders, completing a Work Order) the qty will automatically go into the designated bin. If you leave this area blank, it will go into the default bin. You can change which bin an item is either added to or pulled from on any transaction. You can also split qty between multiple bins in the same location. From the line item of a transaction, click details icon then click bins. Click in any column to enter in the desired bin, and then enter the quantity. On a transaction where the qty is being decreased aka ship doc and you are not sure which bin the product is on you can click “get available” that will bring up a dialog box. The bin feature is very useful for your warehouse staff, so make sure you take advantage of the easy to use feature within All Orders. Well, I hope you have learned something from this blog post and again I hope your company can run a little bit smoother. As I always mention, make sure you check out all our support tutorials. Remember if you have any questions or concern's the NumberCruncher is here for you. Please give our customer support line a call - (866) 278-6243. You can send us an email also - support@numbercruncher.com. Hope everyone has a safe and wonderful holiday! Hello everyone! Welcome back to the blog! Well it's been another great week here in the NumberCruncher office! We hope your company had a great week as well. As you know it's Friday, time for another blog update! Today I will be talking about how to Perform a Location Transfer. This feature is used when a business operates from multiple locations. From time to time your company may need to transfer Inventory to and from locations. This is sort of like a Shipping doc only you are the sender and the recipient. To Create a Location Transfer, select the Warehouse Menu and then select New Location Transfer. Another way of doing this is from your company home screen, Select Location Transfer. First step is to choose the Location you are shipping from. After that is selected you can now select the location you are shipping to. You can use the “Activate From” and “Activate To” to specify a location for entering Item specific info, such as bins or lot/serial #. You can now select the items you will be transferring; you must enter in an accurate quantity amount. Only those items in stock will appear in the drop down list. Next, select your shipping method, a ship doc (if applicable), Number of packages, and the total weight. Just one more step before we can save this location transfer, you must put in the transaction date (if other than today). After those steps are complete, you can now finish by clicking he save button. You can print the transfer log or even email it. That is how you will typically perform a Location Transfer within the All Orders program. As always, I invite you to check out some of our video tutorials. If you are new to the program, they will give you the jump start needed to begin using All Orders. Make sure you check them out! If you are having some issues or just have question's about anything related to Location Transfers or All Orders in general, please give our customer support line a call - (866) 278-6243. You can send us an email also - support@numbercruncher.com. I hope everyone has a great weekend! Enjoy! Hey Guy's! Happy Friday! Hope everyone had an outstanding week! Firstly, welcome back to the NumberCruncher blog. Before we get into our next blog topic, take a second and head over to the NEW NumberCruncher website. We redesigned it and we think it looks great. Tell us what you think about it in the comments below! Thanks for taking a look! Ok, so lets talk little about Locations. A Location can be anything you store inventory in. An example of a location may be your main warehouse or another warehouse located in a different state. It also may be a customer that you drop ship to. You can access the Location tab either from the company home screen or Warehouse – New Location. This will allow you to add new facility locations as needed. All you have to do is enter a Location name and then specify whether you would like it to be listed as available. The first tab you will see is “The address Information tab” this is pretty much self explanatory, this is the address of the location. If it is a customer, say for a drop ship, you can copy the customers or vendors address by click the Copy from Customer or Copy from Vendor. That will bring up a menu where you can select the customer and its address. The next tab is called Bins. This allows you to create a location within a location. This will help out your shippers while they are picking the product. You can place the bin number on the pick ticket so they know exactly where the item is located within your warehouse. This doesn’t have to be a physical bin it could be and place where the product is being stored. To add a new bin, click the line below Default. Next, type in the name of the bin of your choice. You can now select if the bin is available or you can mark if this is your default bin. If you need to delete a bin, all you have to do is click the delete button. Save an close and you are finished. That pretty much sum's up Locations. I hope this helped your company understand Locations a bit better. As always, I invite you to check out some of our video tutorials. They are a great help to new comers to All Orders. Make sure you check them out. Of course if you have some issues or question's about anything related to Locations or All Orders in general, please give our customer support line a call - (866) 278-6243. You can send us an email also - support@numbercruncher.com. I hope everyone has a great weekend! Enjoy! Hey Guys! Welcome back to the NumberCruncher Blog!!! It's Tom from the NumberCruncher team again! Last Friday we talked about how to "Perform Inventory Counts" within the All Orders program. If you are struggling doing inventory, go check that link out and read our last blog post. Maybe that's not what your looking for, maybe your company doesn't need help doing inventory counts. You might just need to Adjust some Inventory due to a trade show where you gave away some Inventory as prizes. Or your company had a fire and due to that fire some inventory was lost in the process. The perfect tool for this in All Orders is called an "Adjustment". To start a New Quantity Adjustment, you can do 1 of 2 things, Warehouse – New Qty Adjustment or from the company home screen select Adjustments. After you have selected one of those 2 options you now can select a location for the adjustment. Once that is selected, you now need to choose an account. Keep in mind the account you choose should NOT be an inventory asset account. If desired, you can also choose a Quickbooks class but this is not a requirement. Next you will want to start adding items into the form. If your company uses bar code scanners, you can place your cursor in the bar code area and scan your barcode. You could also type the item name in the same box and hit tab. If you are not using the barcode tool, you can choose the item by using the drop down menu. Simply click the first blank line in the Item column of the list. Now, you can adjust the quantity of the Item in the QTY field. Use negative values to indicate lost inventory. If needed, you can adjust the date of the adjustment in the upper right had corner of this form. Check “only adjust” in NumberCruncher if you do not want these adjustments to reflect in Quickbooks. Well, that pretty much sum's up how to create a Quantity Adjustment. If you are still having trouble, don't forget to check out some of our Tutorial videos. Well guys, that's it for today's post. I will be uploading blog's like this every Friday. If you have any topic's you would like for me to blog about, feel free to contact me directly at tom@numbercruncher.com. I will be sure to listen to all of your suggestions. As always our NumberCruncher support team is always here for any other question's you may have. Please contact us at anytime. Thank you guys for reading!!! I will see you next Friday! !